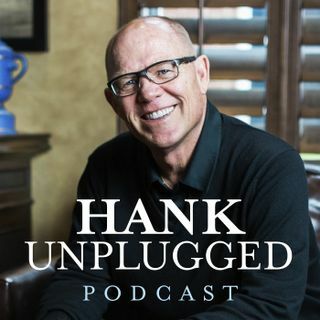 This week, Hank is joined on Hank Unplugged by Clay Jones, associate professor of Christian Apologetics at Biola University and one of the pre-eminent scholars on the issue of theodicy, answering why God permits evil. This conversation is an exploration into why God allows sin and suffering. Topics discussed include: why does God allow evil? (3:30); why did God let that child die? (5:30); why it’s hard to reconcile determinism and theodicy (9:00); why do people want determinism to be true? ... See More (14:30); how God uses suffering (19:30); why do bad things happen to good people? (27:00); transgenderism as child abuse (36:00); the Christian Research Journal article “Killing the Canaanites” (42:00); what difference does belief in original sin make? (48:30); why people who think heaven will be boring are wrong (51:00); the importance of making our lives on Earth count (57:30); what does God want our legacy on Earth to be? (1:01:30); finding ways to be useful to God (1:04:30). The is a wonderful and extremely engaging podcast. Thank you so much for sharing this interview with Clay Jones on "Hank Unplugged"!